Susan Credle is the new global chief creative officer at FCB, replacing Jonathan Harries, who's held the post since 2006 and will now become chairman. The changes take effect on January 1. Credle will relocate to New York from Chicago, where she's been CCO at Leo Burnett USA. After meeting Credle during the interview process, FCB worldwide chief Carter Murray said he thought she was the "obvious candidate" to be his global creative partner. The CCO search began a year ago. "There was immediate chemistry with Susan. She is very talented and has a strong point of view on business and creativity and has our values and character," said Murray. Credle joined the Publicis Groupe agency in 2009, and during her time there, is credited with new-business wins like Marshall's, Kraft, Esurance, Sprint and Cincinnati-based regional bank Fifth Third. Credle is also associated with the agency's "Mayhem" campaign for Allstate, and the anti-bullying initiative "Mean Stinks" for Procter & Gamble's Secret. 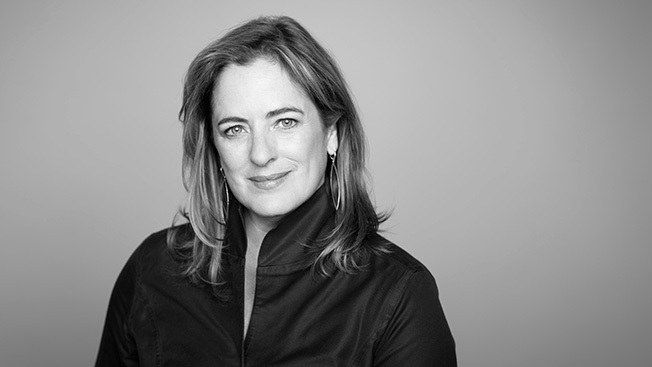 "Along with [global CCO] Mark Tutssel, Susan has led the creative renaissance at Leo Burnett," Murray added. The former copywriter started her career at BBDO New York after graduating from The University of North Carolina at Chapel Hill in 1985. She moved up the ranks during her 24-year career at BBDO before ultimately being appointed evp and ecd. At BBDO, Credle reinvented M&M's iconic characters and was involved in award-winning work for clients such as Bank of America, FedEx, Gillette, Lowe's, PepsiCo, Pizza Hut and Visa. Credle said she was sold on Murray's offer to join him in building a creative culture at FCB. She added that the essential elements to do that are people, place and purpose. "It's in the DNA of FCB," she said. "I love legacy brands—and that includes agencies—so my feeling is, 'Let's go claim that.' It's like at Leo Burnett where we went to find the soul of the company and light it up."